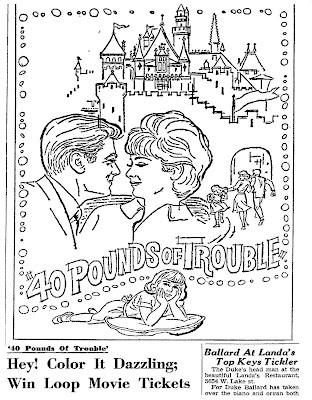 A newspaper movie coloring contest for "40 Pounds of Trouble". The movie starred Tony Curtis and Suzanne Pleshette. I have never seen this movie. 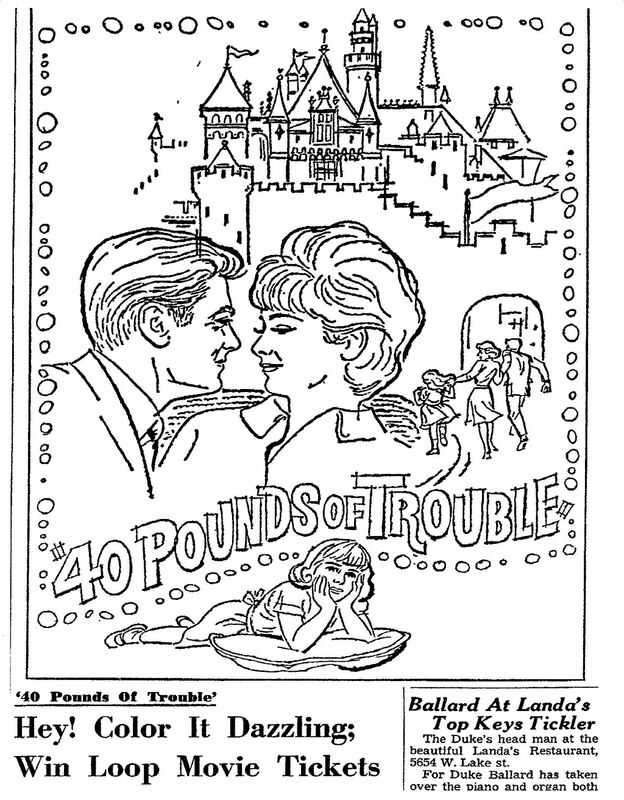 The contest ran in February of 1963.